This recipe is certainly silly. It says to separate the eggs, but it doesn’t say how far to separate them.- Gracie Allen (egg quote). 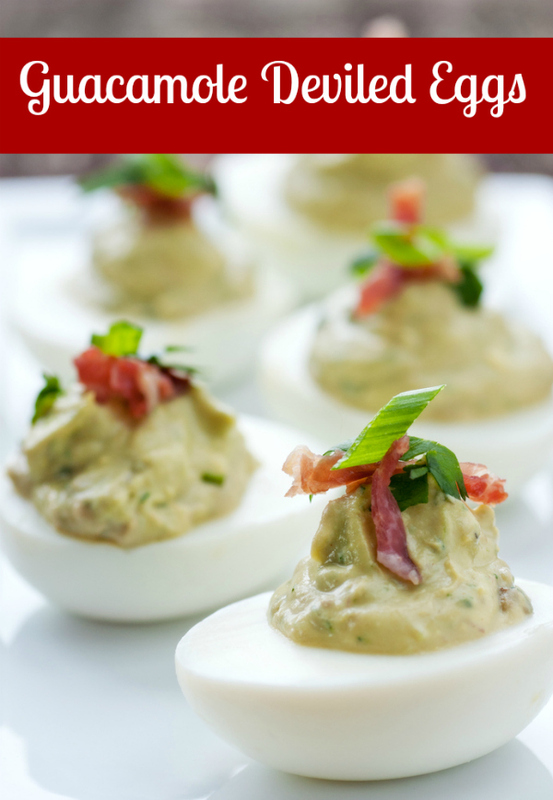 Deviled eggs are always a hit in my house, then one day I tried making an avocado chicken salad recipe that used avocado instead of mayo, and it was awesome! So I wondered what it would be like to make deviled eggs the same way. 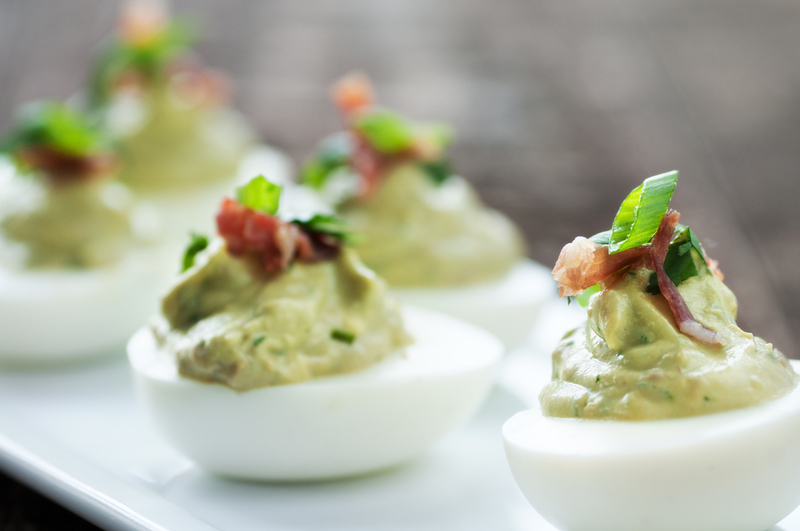 Hence this recipe for healthier guacamole deviled eggs. I do mine simple and just garnish with paprika, but if you want to get fancy, you can add bacon and scallions as garnish as well. A healthier way to make deviled eggs by using avocado instead of mayo.